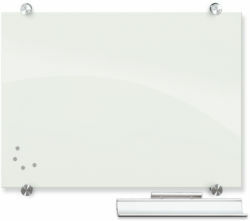 Add a versatile new element to your classroom or office with a portable whiteboard from DryEraseBoard.com. Each of these rolling whiteboards features a reversible whiteboard that gives you twice the surface area in half the space. The two-sided flip-over design makes it easy to go from one whiteboard surface to another in just seconds. 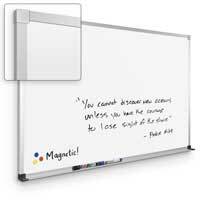 Meanwhile, the rolling base allows you to move this portable dry erase board all over the room with ease. You can even move it from room to room for special presentations or trainings. 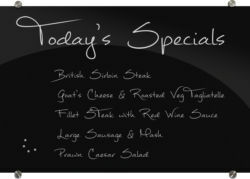 Unlike a mounted marker board, a rolling whiteboard gives you more flexibility when it comes to creating dry erase board displays. There are dozens of options for creating a custom two-sided whiteboard that’s fit for your space. You’ll select from a variety of sizes to get the right match for your needs. From there, you’ll have plenty of choices for which surfaces you’d like to use. 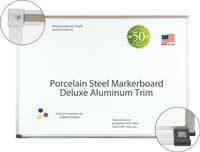 For a popular choice that’s guaranteed to last for 50 years, get magnetic porcelain on steel. You can also choose glass markerboards, black magnetic glass markerboards or chalkboard surfaces integrated in your rolling whiteboard. 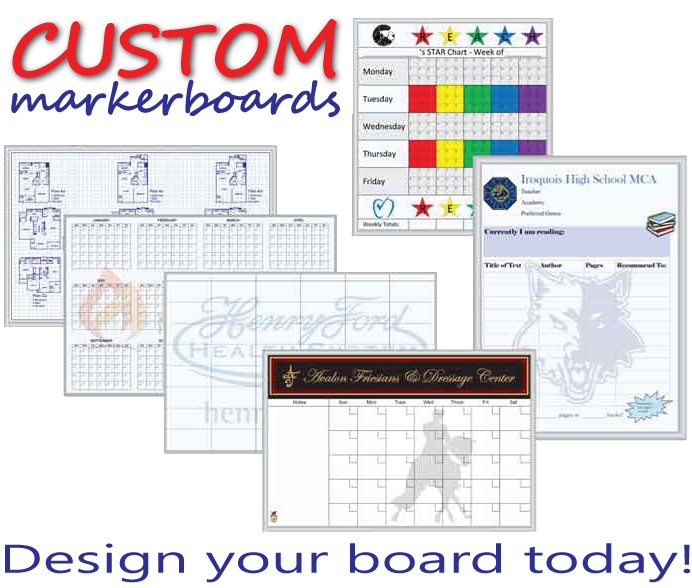 In addition, you can opt to have one side of your portable dry erase board covered with cork board to give you a convenient portable display area. There are even various rolling unit choices, including many that feature a convenient storage space at the bottom of the unit. 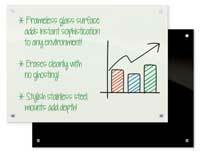 A portable whiteboard gives you renewed flexibility in reaching your audience. Whether you’re working with different classrooms on a math project, training employees on a new procedure or displaying updates and information for your office guests, a rolling whiteboard is a great choice for creating a functional, convenient display. Order yours online today at DryEraseBoard.com.